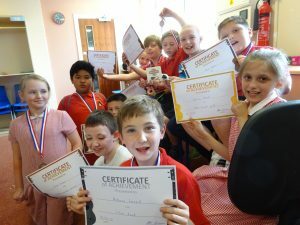 WE ARE A MUSICAL FUTURES CHAMPION SCHOOL! Our school believes that Music should be fully embedded in every aspect of school life. Our aspiration is that every child adopts a lifelong appreciation of music. 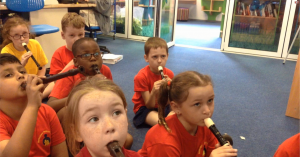 Music is mostly taught by our specialist music teacher across Key Stages 1 & 2 in the Mozart Room, however, Music is also taught by class teachers from EYFS and Key Stages 1 & 2. Weekly music lessons are lively and interactive aim to foster a passion for music in children of all abilities through the Charanga Music Scheme, Out Of The Ark schemes, BBC Radio schemes and bespoke school-made schemes. It is our vision that music lessons give the opportunity for children to become real musicians and provide a creative outlet. 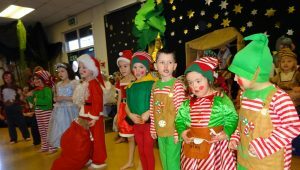 The children participate in singing, playing instruments, composing, and listening to live and recorded music. We provide our children with many opportunities to perform in front of an audience, reflect upon and evaluate their work. Wider Opps Music is taught ‘in-house’ by Mr Wilson. 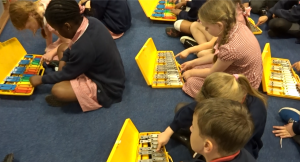 All children from years 1-6 have the opportunity to learn Ukulele, Recorder and Glockenspiel through our bespoke ‘Primary Futures’ Scheme based on the principles of Musical Futures. Years 5 and 6 also receive wider opps guitar. 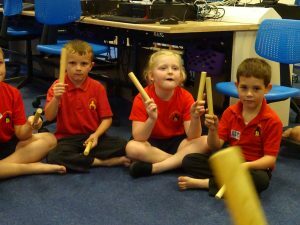 These schemes are supplemented with pitched and unpitched percussion to create multi instrument performances as a class. 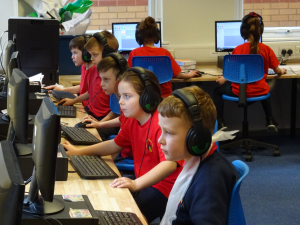 Pupils follow a programme of study each academic year, which includes performing, composing and listening tasks. We encourage all pupils to maximise their musical potential in all of these areas, both inside and outside of the classroom. Through focusing on musical elements in lessons and switching elemental timbre on the fly, pupils develop an intrinsic understanding of keywords and improvisation. Numeracy is an inherent focus of many of our Music lessons, as pupils are encouraged to work with rhythm and rhythmic notation. Note durations and rhythms are directly related to the concepts of fractions and ratio. The understanding of pulse, beat and time signatures all require an element of knowledge of numeracy. 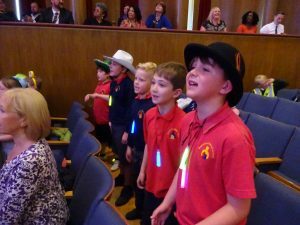 Each term a varied programme of extra-curricular activities is offered to pupils, including Choir, Ukulele Club, Keyboard Club, Times Table Youtubers and Guitar Club.